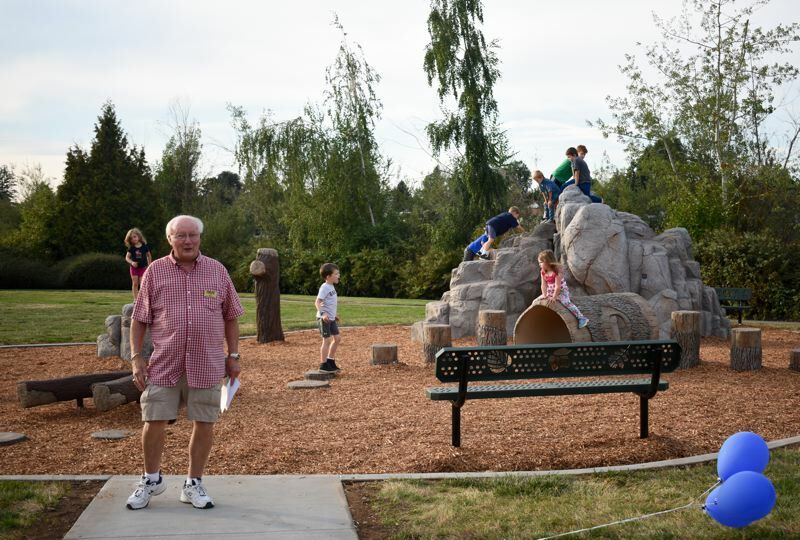 Mayor Ted Tosterud commends nature-style playground at Lakeshore Park on the banks of Fairview Lake. 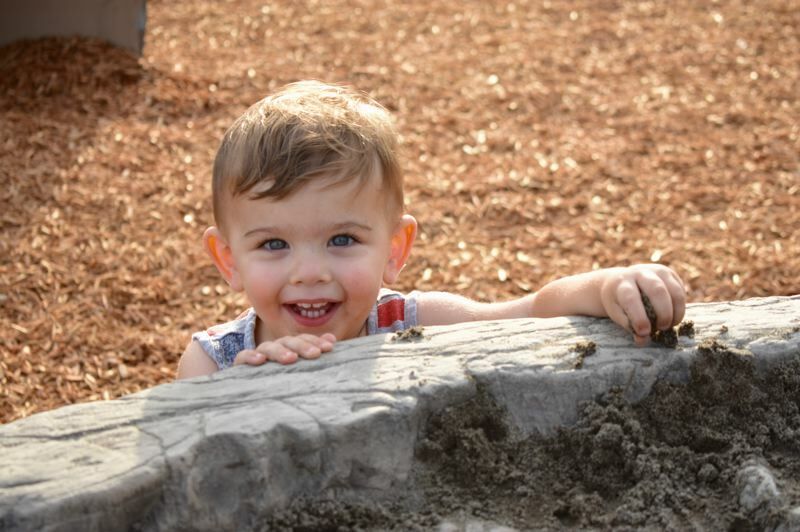 While Fairview officials spoke about the merits of building a nature-themed playground at Lakeshore Park, children frolicked about on the new structures. The city celebrated the grand opening of the park at 3653 N.E. 217th Ave. on Wednesday, Aug. 29. 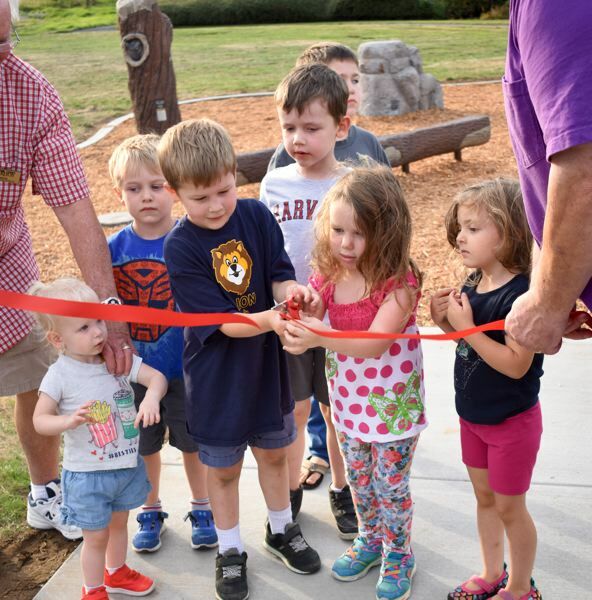 Eric Rutledge, Fairview city planner, said the city had recently completed renovations at the park, which included constructing two gazebos, two fishing decks on Fairview Lake and the nature-style playground. 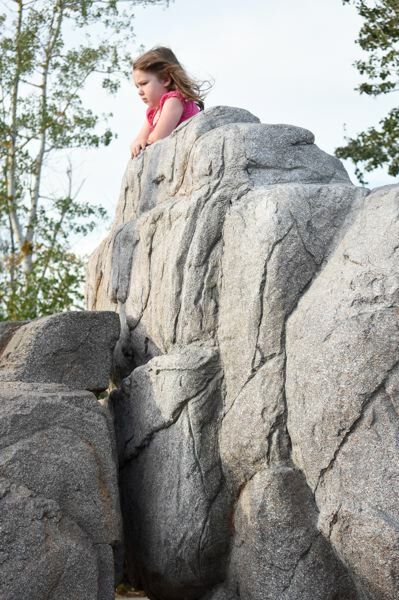 The play structures include a large faux boulder for kids to climb on, small plastic tree stumps for little ones to jump on and a small sand area for children to run their hands through. Steve Marker, chairman of the Fairview Parks & Recreation Committee, spoke about the improvements while kids climbed on the structures behind him. "When we moved here 17 years ago, nobody knew what this was going to be," he said. Kids were invited to take a break from play to cut the ribbon. With adult supervision, 3-year-old Matilda Williams and her 5-year-old brother Atticus, snipped the tape together. Before the ribbon-cutting ceremony, Mayor Ted Tosterud said seeing the park develop is a great improvement to the city. "This equipment is absolutely fantastic," he said. "I think this was a great choice."